I started a classroom website 4 years ago with the intention of keeping parents informed. What I didn’t realize was that while I may have been doing just that, I was also telling the story of my classroom to the world. I was posting pictures of the students working, videos of things we did, information to those who cared. I didn’t realize others took note until I looked at the statistics one day and realized that it was not just parents who were tuning into our story. The world was seeing what was happening within our walls. And the world was paying attention. Why does that matter? Because what I chose to display was, and is, a story of positivity. A story that showcases the incredible thinking my students do. A story that shows their investigations into failures, their curiosity driven learning, and their growth as leaders throughout the year. I chose what I put out into the world to represent our classroom and that is what people see when they search for us. Not the words of a district, or a parent (although they share our story too), or a journalist, but our own words, us telling our story. How we share our classrooms, our schools, our districts matter. In fact, many people such as Tony Sinanis and Joe Sanfelippo talk about the brand of your school and asks, “Who is telling your story?” Are parents? Is the newspaper? Are kids? Are teachers? Are administrators? Because if you are not telling the story the way you want it to be told, then who will? So I urge you to find a way to tell your story. 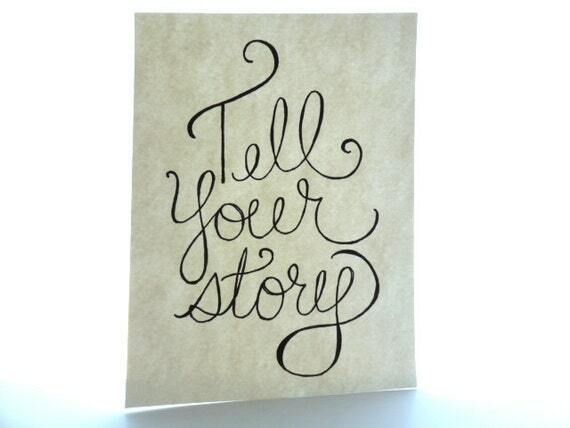 To share your story the way you want the world to see it. As a district share the amazing events happening within on a Facebook page (yes, this is my new district! ), Twitter, or whichever way that will work. As a principal, take pictures of your staff doing incredible things, tweet them out, highlight them, share them with staff, with parents, with anyone who will listen. As a teacher create a classroom website, a Facebook page, a blog, anything where you can share the stories of your students and then have your students share it with you. You shouldn’t let others tell your story, who knows if they will get it right?